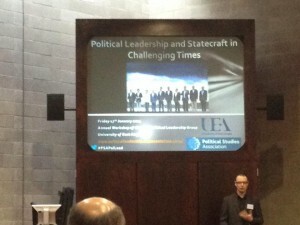 I recently convened a Political Studies Association workshop on political leadership at the University of East Anglia. Below, I reflect on some of the lessons learnt. Political leaders are facing challenging times. 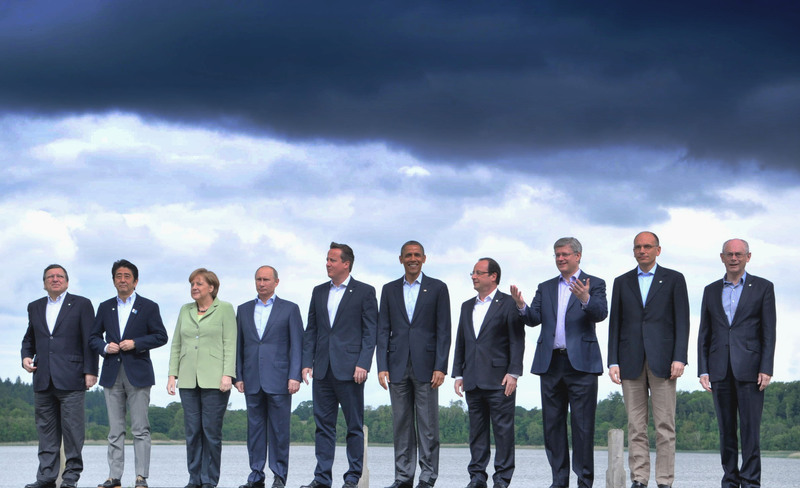 International financial austerity has had dramatic consequences for leaders around the world. Leaders have often had to campaign for (re)election and govern with significant public deficits, stagnant growth and public unrest. The rapid evolution of social media has affected the way in which leaders communicate to citizens, and how citizens communicate to each other about leaders. In many democracies electoral support and membership of the main political parties has been in long-term decline. On 17th January UEA hosted the Annual Political Studies Association workshop to critically examine this topic. The event brought together leading scholars disciplines as diverse as electoral studies, organisational psychology, elite theory, public administration, international relations and many more to study this topic. Professor Tim Bale was the keynote speaker. His address, published in the Guardian evaluated the performance of Ed Miliband as leader of the opposition and argued that despite some criticism Miliband had performed well as party leader. The workshop the received papers which considered alternative frameworks for evaluating and thinking about political leadership. These included papers on the concepts of statecraft, political capital and the personal characteristics that make for a good leader. Among the papers, Jim Buller (University of York) and Toby James (UEA) outlined a framework for thinking about the nature of the context in which leaders find themselves. Using this approach they suggested that Gordon Brown had initially performed very well in a very difficult context, but that his performance deteriorated very quickly after 2008. Mark Bennister (Canterbury Christ Church University) and Ben Worthy (Birkbeck University) introduced a framework for examining the political capital that leaders have. Jo Silvester (City University of London) demonstrated how studies from organisational psychology can help to identify the characteristics of good leaders and Alan Finlayson (University of East Anglia) explained why we should look at the rituals and performance (in a theatrical sense) of leaders in leadership contexts. Some panels in the afternoon focused on political leaders in Britain with assessments of dispatch-box opponents Ed Miliband and David Cameron. Among these, Andrew Gamble (University of Cambridge) argued that the Coalition government’s policies of austerity might not be good economics, but was a politically astute strategy for the government. Paul Whiteley (University of Essex) argued that the performance of leaders was very closely tied to the economy under the Labour governments. But since the Coalition came to power, the relationship between the economy and political support has changed, with neither the Conservatives nor the Liberal Democrats gaining from a fairly rapid growth in economic optimism which has taken place since early 2013. Ivor Gabor (City University of London) noted how the Daily Mail had tried ‘attack’ Ed Miliband by painting him as ‘Red Ed’ and attack his father, but that this ‘attack’ had not been successful. Miliband’s oratoral style was also examined by Andrew Crines (University of Leeds) and his strategy of moving the party to the left questioned by Thomas Quinn (University of Essex). Other panels considered political leadership at the local, European and international level; or the challenges facing leaders in France, Greece and elsewhere. In the management of foreign policy John Gaffney (Aston University) noted that the poor judgement of Hollande Presidency in dealing with Syria and the Chemical Weapons Crisis of August-October 2013 and Kleanthis Kyriakidis and Petros Siousiouras (University of the Aegean) argued that the leadership of the West had more generally failed to manage the opportunity and challenges of the Arab Spring. Austerity, demands for new forms representation and changing institutional structures have posed challenges for leaders in Greece (Marina Prentoulis – University of East Anglia), Britain and Germany (Ekaterina Kolpinskaya (University of Nottingham), (Nicholas Wright (UEA)). Changed institutional landscapes also pose new opportunities and challenges for leaders at the local level claimed Alex Marsh (University of Bristol) and European level claimed Hussein Kassim (University of East Anglia). Some of the challenges that leaders face are new, some are very old. But overall the workshop was very successful at bringing together scholarship from a variety of academic sub-disciplines to bring new perspectives to the field of leadership. Select items will be published in the near future. Some papers from the workshop are available here: http://politicalleadership.org/events/uea-2014/. If you want to know more about what was said, please see the Storify of tweets below. Dr. Toby James is a Lecturer in British and Comparative Politics at the University of East Anglia.